Elevate your weekend wardrobe with this must-have jumpsuit! 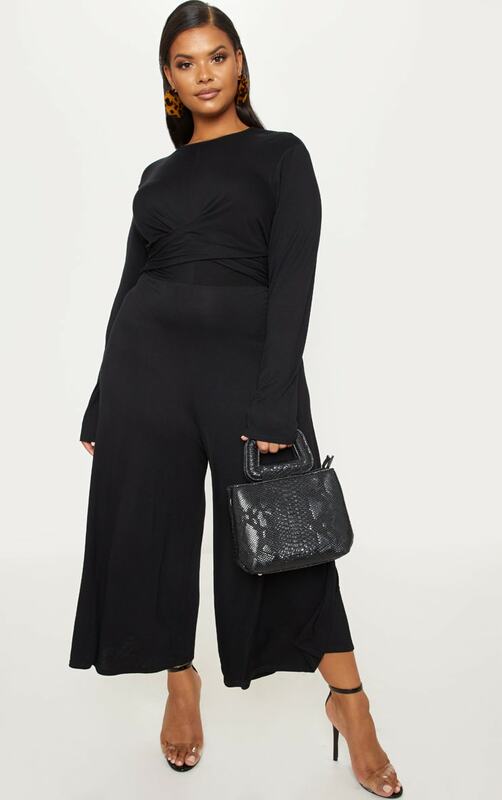 Featuring a black fabric with a twist front design and culotte length, what's not to love? Team with black barely there heels, a mini bag and stylish earrings for a look we're loving.